The European Lifestyle Medicine Organisation (ELMO) provides leadership in research, prevention and treatment of lifestyle-related diseases through nutrition, physical activity, psychology and public health. The goals of the Society of Lifestyle Medicine are to prevent lifestyle-related chronic diseases (syn: noncommunicable diseases NCDs), improve the management of people who have these diseases through professional education and research, and develop guidelines, standards and policies that promote optimal patient care and health. ELMO represents all nations in Europe and around the Mediterranean, and are a founding member of the Global Lifestyle Medicine Alliance (GLMA). ESLM is a non-profit, non-political, non-religious scientific and medical organization. – How are lifestyle, health and disease connected? – What are the underlying causes of lifestyle-related diseases (LRDs) such as Type 2 Diabetes, Cardiovascular Disease, some forms of cancer and neurodegenerative diseases? – What are effective interventions to prevent LRDs on an individual and society level? – What are effective interventions to treat LRDs? Educating the public and health professionals on lifestyle-related diseases and prevention is a key goal of ELMO. The future we face is one in which knowledge will be the most important currency. ELMO aims be at the forefront of creating knowledge. Lifestyle-related diseases (Cardiovascular disease, type-2-diabetes, some forms of cancer, obesity) are preventable through effective interventions that tackle shared risk factors, namely: tobacco use, unhealthy diet, physical inactivity and harmful use of alcohol. ELMO is dedicated to evidence-based preventive and lifestyle medicine. Research, prevention and treatment of lifestyle related diseases with evidence-based interventions that integrate nutrition, physical activity, stress management, health behavior changes and environmental aspects. Raise awareness for Lifestyle Diseases in Europe among health care professionals and the general public. Bridging the many gaps in society, science, economics and behaviour at the root of the modern lifestyle diseases. Provide expertise to generate health-promoting social and business changes. Support research on the role of lifestyle factors in the prevention and treatment of chronic diseases. Connect research groups in Europe and provide funding. Offer Education and Training. Incorporation of Lifestyle Medicine into university curricula and medical specialist training. ELMO foresees the future recognition of Lifestyle Medicine as a clinical specialty. Unite all Lifestyle Medicine practitioners, researchers, students, educators, and policymakers both within Europe and globally. The Global Lifestyle Medicine Alliance (GLMA) is bringing together leaders from ELMO in Europe, the American College of Lifestyle Medicine, Harvard Institute of Lifestyle Medicine and the Australian Lifestyle Medicine Association, with the aim of identifying and delivering solutions to promoting optimal global health and wellbeing. Multi-disciplinary community. ELMO includes a wealth of professional expertise, including physicians, nurses, public health experts, social science experts and all people involved in health lifestyles. 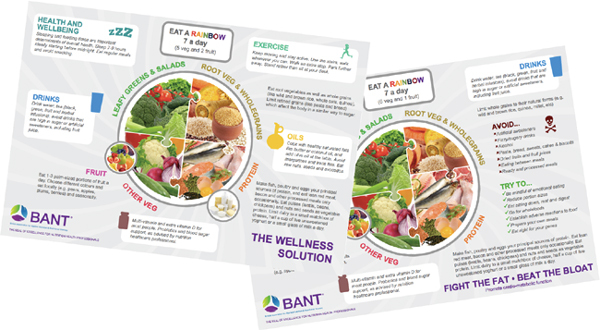 The European Lifestyle Medicine Organisation believes Nutritional Therapy as practised by BANT Registered Nutritional Therapists fits perfectly within the Lifestyle Medicine model they promote. As such, a VIP membership category has been especially created for BANT Registered Nutritional Therapists only. If you are a BANT Registered Nutritional Therapist, please click here to access details of your exclusive ESLM membership rights. If you’d like to find out more about ELMO membership benefits, please visit the ELMO Membership page.